The uni-ball 207 gel pen features exclusive uni Super Ink which helps protect against water, fading and fraud. The specially formulated pigment based gel pen ink contains particles that form an indelible bond in paper- it can’t be broken... ever. The solid vivid colors of 207 gel pens deliver bold color every time you write. The textured rubber grip offers superior writing and control, while the retractable gel pen tip provides added convenience. 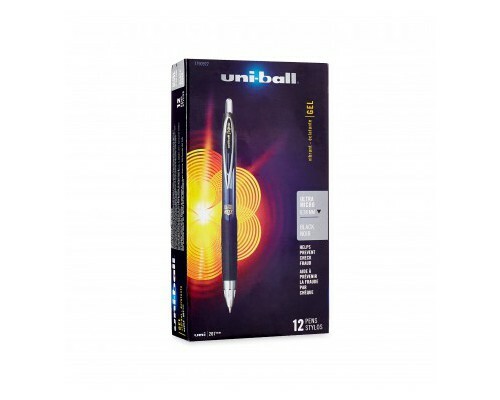 Adorned with distinct metallic accents, this uni-ball pen adds a touch of class to everyday life. Whatever you’re working on, you’re bound to shine with the uni-ball 207 gel pens.